Today I attended a Tai chi competition in Todoroki Arena, Kawasaki, 32 Yang Style straight sword. I was scheduled around 10:00 but I actually I performed around 12:00. Those two hours were very stressful, I kept warming up, sweating, cooling down and warming up again, repeating the cycle for several times, in order to be ready for the performance. I got a very high score (8.67) with a penalty of 0.2, because my performance lasted few seconds beyond the regular time (time over!). Today was the last time I performed as a member of Kanagawa Bujutsu Tai Kyo Kae because in few weeks I will leave for Amsterdam. It had been my “Sayonara” to Tai Chi and to Tai Chi mates in Japan. I am still fascinated by the passion and dedication of all people I was with today, especially elder people. This gives me plenty of hope about my future as a Tai Chi lover and student: you can practice until you are 80! 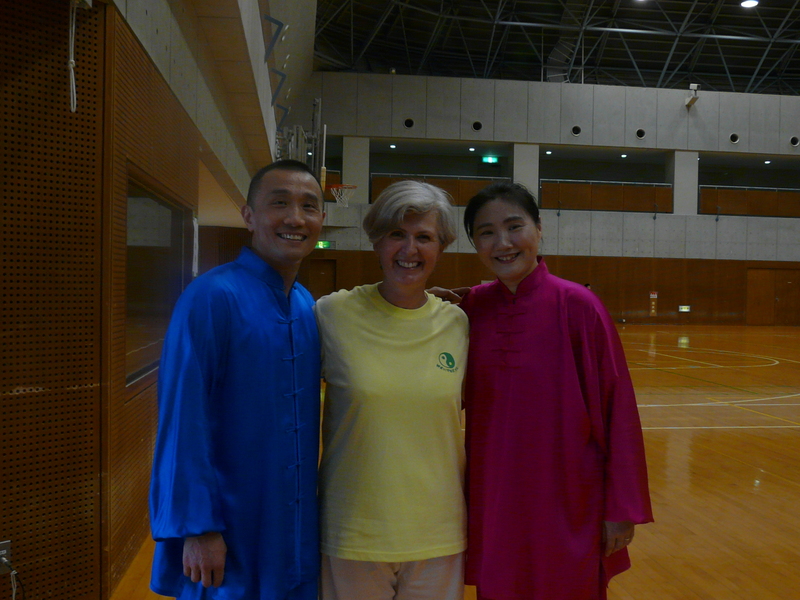 My teachers, Ra Kyo and Liu Sei sensei, closed the event performing Kung Fu and Chen style Tai Chi, respectively. Just amazing!